THE LORD OF HOSTS is one of the most common names used for God in the Bible (more than 260 times). The name in Hebrew is YHWH Sabaoth. YHWY is the holy personal name of God, meaning self-existent. Sabaoth is the term for hosts, meaning a great number, usually applied to the angelic armies of heaven. The Lord of hosts knows how to win a battle. His victories often come when the odds are stacked against the people of God. 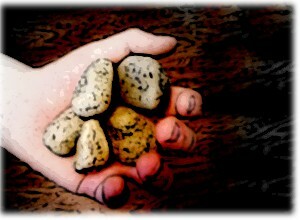 David is proved a hero and the Israelites are emboldened. The Philistines flee and are routed. Miraculously, the waters are split and Israel crosses on dry ground. The once mighty army of Egypt tries to follow and is drowned entirely. 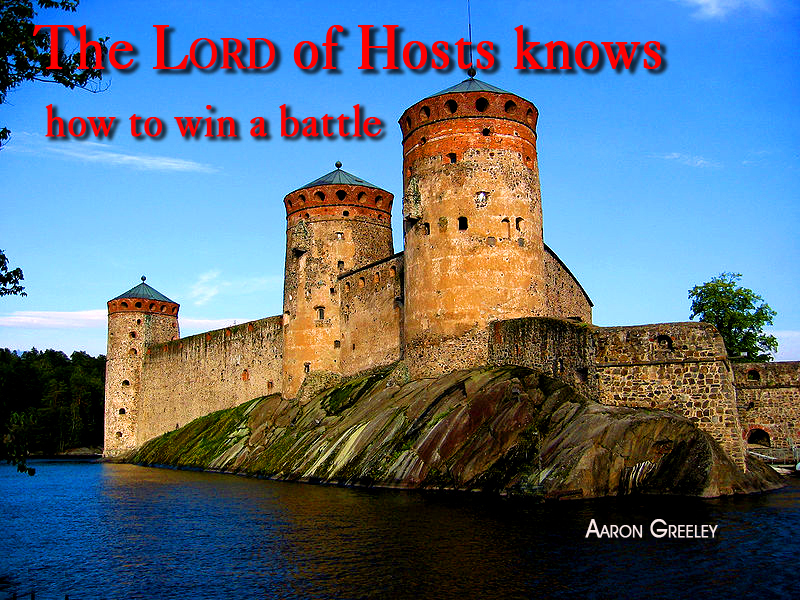 The LORD of hosts doesn’t need a large army to win his battles. Consider Gideon’s army of 32,000 men marching to face the Midianite army. Eventually the LORD uses only 300 men to defeat Midian. The Midianites never again raised their head against Israel (Judges 8:28). THE LORD of hosts needs no army of men to accomplish his will. Recall how the Assyrian army approached Jerusalem after previously conquering the tribe of Israel. The tribe of Judah was next. 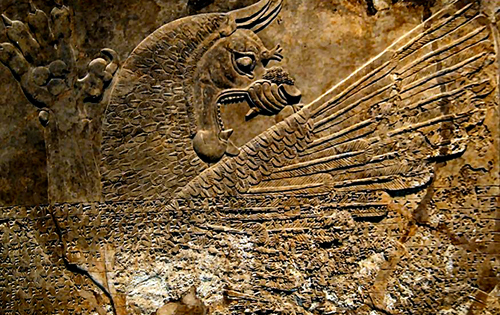 Sennecherib, the king of Assyria, boasted of his great victories, laying waste to many nations. Hezekiah encourages the nation to remain calm and he prays that the LORD will remember his people. 185,000 soldiers dead instantly! That is a sweeping victory. We get a glimpse of the LORD of hosts’ army when the Syrian army surrounded Dothan in order to capture Elisha, the man of God. Elisha’s servant is frightened until Elisha prays for his servant to have vision. What a sight it must have been! Ironically, the Syrian army was blinded and eventually sent packing. THE NAME LORD of hosts pictures God as commander of a great army of angels for which nothing is impossible. Angels, hoses and chariots of fire do battle against the dark forces of this world, overwhelming them. I wonder if Peter was thinking of this prophecy when he drew his sword in the garden on the mount of olives when Jesus was betrayed. A band of brutes dared approach the Son of God with weapons in order to arrest him. Do you realize what Jesus is saying? He confirmed that at his command are twelve legions of angels at the ready. He gives the order and the angels will be sent. That makes Jesus, the LORD of hosts! The implication is that if the veil of darkness that shadows reality were lifted, as it was with Elisha’s servant, we would witness 72,000 angels, horses and chariots of fire surrounding the mount of olives ready to deliver Jesus at once. So why did he hold them back? The LORD of hosts knows how to win a battle. But instead of calling down judgment and overwhelming his captors, he hold back the angels and goes quietly. Not just quietly, willingly. He willingly denies himself the angels he has used so often before. Why? Because he knows how to win the battle; the battle against sin. This battle could not be won with angelic strength, speed, weapons or fiery cavalry. This battle could only be won by the blood of Jesus Christ, the LORD of hosts. In conclusion, please consider the first two verses of A Mighty Fortress, written by Martin Luther. You will recognize the name LORD Sabaoth and hopefully appreciate the meaning more completely. Thanks be to God; the LORD of hosts knows how to win a battle!